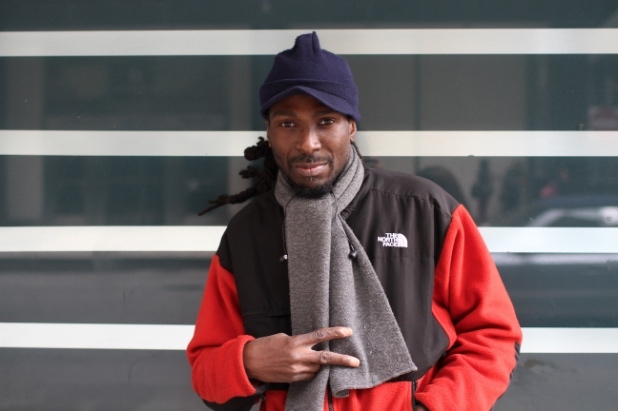 This Saturday night, footwork pioneer RP Boo is bringing the high octane sound to The Shelter. "The Greatest Chicago Producer You've Never Heard" (says VICE) is making his China debut with this trip, and just played in Beijing at Dada club last night. SmartShanghai's Beijing correspondent, me, got a bit tipsy and accosted him in a stairwell by the bathrooms after his (really fantastic) set to ask him five questions for SmSh's Five Questions thing. Click on the jump to read a few words from Boo ahead of his show on Saturday night. Don't miss that one. SmSh: So I heard you go stuck in the Pudong airport for 24 hours? How was that? Like hell on earth? RP Boo: My flight was delayed… a couple hours, and then longer. Yeah, they put me in a hotel, and then I came back and the airport after that and it was just packed with people. And delayed again. But actually they let me go to the front of the line after all that. They did a good job. It was okay. They did a good job. SmSh: Where are you coming from? Are you on like an Asian tour? RP Boo: Yeah, coming in from Japan. That was my second time in Japan. Japan is just awesome. I got fans there. I got fans everywhere. One thing I thought, coming from Japan to China — China is one thing I really like as well. And the only thing I know about both is the portrayal of the martial arts in films. And Buddhism. SmSh: Where did you grow up? RP Boo: Born and raised in the westside of Chicago. Both of my parents are from the westside of Chicago. SmSh: Hows that? What’s good about Chicago? RP Boo: I love Chicago. I love Chicago for the architecture… for what it has to offer the normal person. Chicago is a beautiful place. 95 percent of places are beautiful but Chicago is a real beautiful place. SmSh: I heard you used to work at Chuck E Cheese? That’s awesome. I used to work at Dairy Queen. RP Boo: Oh yeah. Yeah, I really enjoyed it. I really enjoyed it, serving the people. It was a good job. Working with a team, you know. Being with a team, you know. SmSh: I do, I do for sure. So. I have to ask… you’ve been often cited at the person who invented the genre of Footwork. The “Godfather of Footwork”. Is that something you… embrace, I guess? Do you accept that accolade? But it’s about loving what you do and standing side-by-side with people. The moment you say you the king, that’s when I get rid of you. And that’s not even talking about footwork or whatever -- I don’t care if it’s EDM -- stand side-by-side with people. SmSh: Hey Josh, ask a question. RP Boo: Rhythm is very important to me. Josh: Oh, it’s the most important thing. The most important thing. So, I know you have the triplet meter all the time. You use the triplet meter. How do you… Is this like an attempt to break up the 4/4 stuff? So yeah, bass a drums get along very well. SmSh: Sounds like a wise man. RP Boo:Yeah, he played bass for Prince. He’s a cancer surviver. I still see my Dad when I get time off. So I see him and he still trains me, you know. Like he trains me mentally. SmSh: I think that’s five questions. It was around five questions anyways. Thanks for taking the time! Enjoy Shanghai, right. RP Boo: Alright. I will. RP Boo plays Shelter on Saturday.